Supplementing our bodies with quality vitamins, supplements and minerals is a healthy choice to speed up recovery time and to promote overall wellness. Not all supplements are created equal, and it can be very confusing on what is best for each of us individually. We carry a complete line of physician grade supplements that can certainly assist you on your road to recovery. At Reinhardt Chiropractic, we provide nutrition counseling in Denver, CO to patients and oversee the nutritional aspects of patient care. Dr. Reinhardt works with clients personally to identify and resolve complex or sensitive issues related to eating and develops and implements individualized treatment plans to facilitate patients’ progress. Clinical nutrition is the nutrition of patients in health care. It incorporates primarily the scientific fields of nutrition and dietetics. 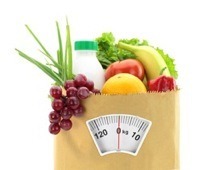 Clinical nutrition treatments help patients move forward from disordered eating to a healthier relationship with food. Clinical nutrition is also used on athletes in order to significantly improve physical and psychological health for maximum performance and emotional well-being.